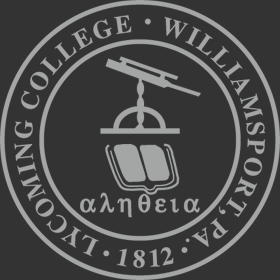 Our mission, as a service of Lycoming College, is to "provide a distinguished baccalaureate education in the liberal arts" for Lycoming students with special educational needs. For students with disabilities, successful completion of this mission requires the combined efforts of the Coordinator of Disability Support Services, the student, and the course instructor. The Coordinator works individually with a student to identify his/her needs and then develop appropriate academic accommodations to meet those needs. The student, of course, plays a vital role in this process in that the student must acquire an understanding of the disability; work with the Coordinator to request, determine, and use appropriate accommodations; and then learn and practice self-advocacy skills. Instructors play a pivotal role in this mission because they must provide the accommodations within the context of the requirements and expectations of their courses. For more information please contact: Jilliane Bolt-Michewicz, Coordinator of Disability Support Services by email, phone (570-321-4050), or in the Academic Resource Center, 3rd Floor of Snowden Library.